Block a cheese with 2 mice included. Two little mice and a block of cheese are waiting for you! The Stretchy Mice and Cheese stress reliever is comprised of the awesome Hyperflex material so you can stretch pull and fidget with it. 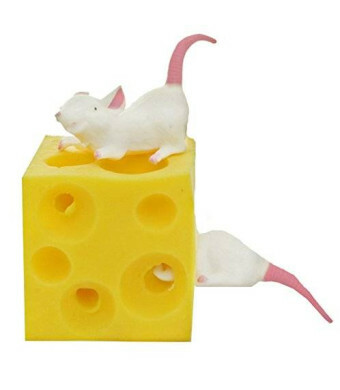 The mice are not attached and can be rearranged in the various holes. You can even let the mice roam around your desk. But like real mice, they will probably wind up back in the cheese. 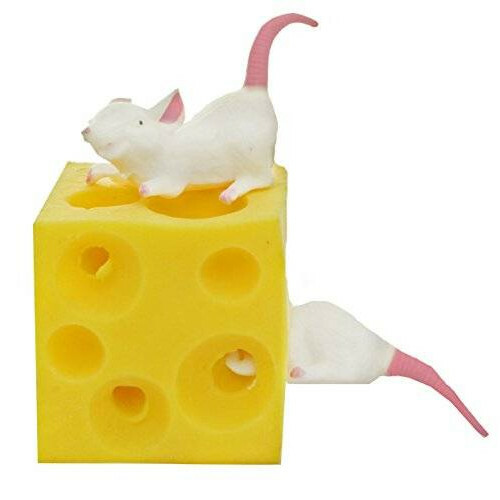 The Stretchy Mice and Cheese is a hilarious desktop stress relief toy.